By looking into what causes dementia, we realize that there are multiple sources from which this illness stems. Each type of dementia has attributes that are unique to its origin. Research suggests that it is crucial to keep the minds of dementia patients engaged and occupied at all times. This helps them to cope with the illness better. By giving them a structured routine, dementia patients are better able to maintain their cognitive ability and their brain functions properly. It keeps them calm, avoids aggressive behavior and provides them with a sense of security. They also feel comfortable having control over themselves and their surroundings. As a caregiver for a patient with dementia, the responsibilities of the role are quite demanding. Staying active and engaged is excellent for both physical and cognitive health. So, it is particularly important for people with neurodegenerative disorders to engage in daily activities. Board games are fun and interactive. Not only are they entertaining but they also manage to keep players engaged for prolonged periods. They are a perfect way to relax, enjoy and stay distracted from all other things that might be occupying the minds of the participants. So, board games are especially helpful for the elderly and keep them busy. According to research, one of the best board games for people fighting with dementia is Bingo. 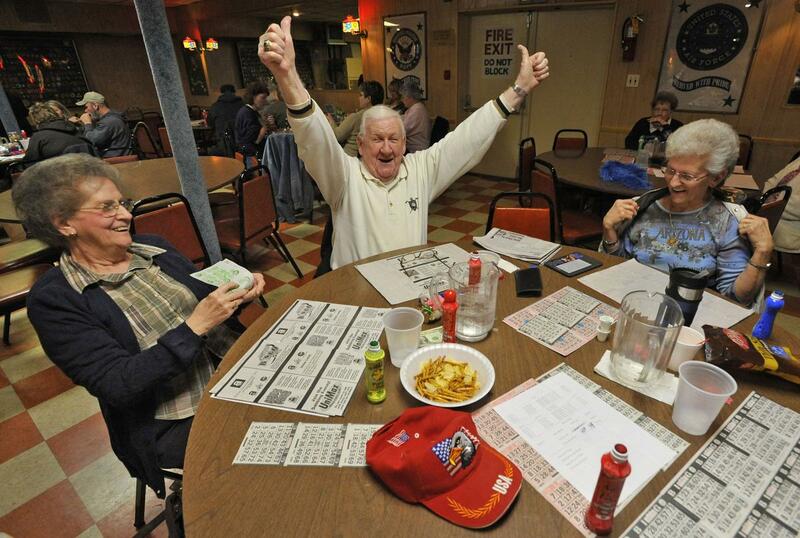 Bingo helps cognition by providing mental stimulation. It allows the players to identify and match colors, numbers, and shapes. Bingo manages to get patients with dementia thinking. 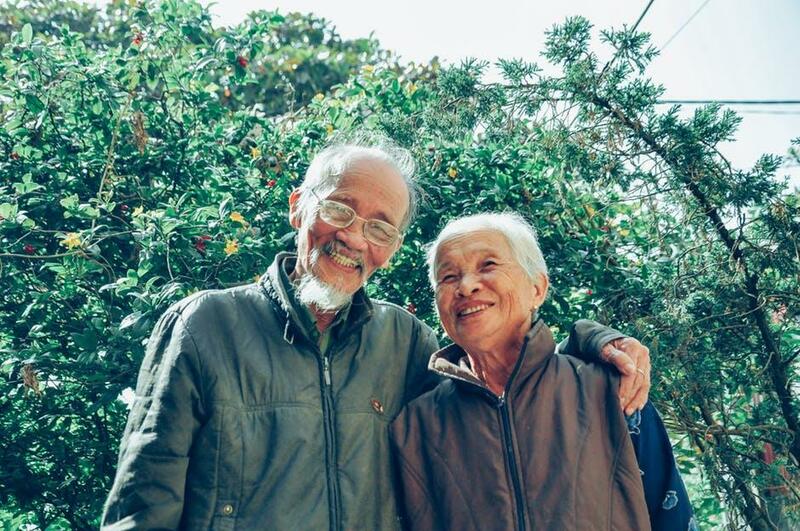 Mental stimulation is particularly beneficial for dementia as it helps with brain exercise; a necessary part of dealing with neurodegenerative disorders that helps slow down the deterioration process. Reading does not necessarily imply that one has to read a storybook, newspaper or magazine. To get the conversation started, one could merely take something random like an old photo or a decoration piece and start talking about it. Reading aloud to the patient is great because it helps the patient calm down. It also allows the reader to spend time with the patient. Reading together invokes great conversation and leads to further discussions between the conversing parties. Once a conversation starts, it can progress into anything. The perfect way to start an interaction, reading helps dementia patients combat the feeling of isolation. It distracts them from whatever is stressing their minds. Shared group reading is also great for stimulating creativity. It allows patients to revisit old memories and imagine things from a new perspective. Dementia patients have been reported to have improved concentration and mood after reading. Dementia patients are often reported to lose interest in many things including food. What once used to be their favorite meal, could now be something that they would despise. Such developments can be quite challenging to deal with. A baking or cooking session with a dementia patient at home is one of the best ways to reignite their love for food. Cooking sessions stimulate the senses in the best possible way. They are fun, engaging and interactive. 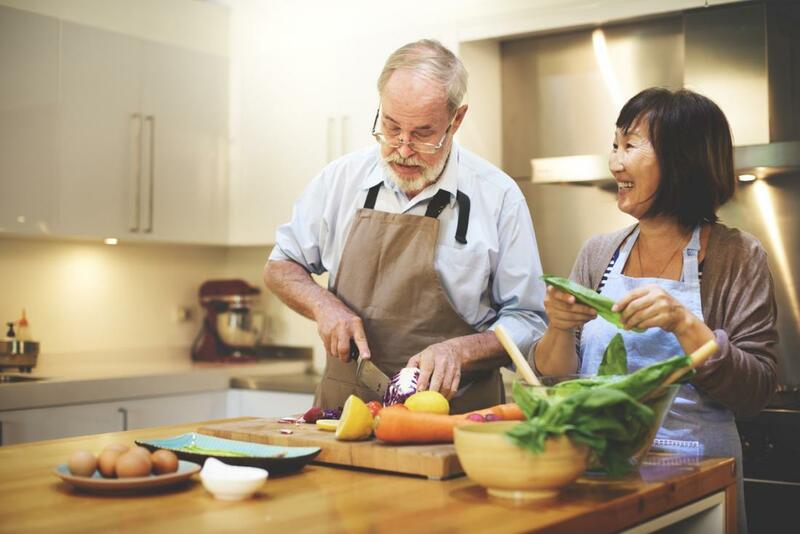 Cooking allows the patient to get involved actively. The more engaged a dementia patient is, the less likely is the chance that their mind will wander off elsewhere. Interaction activates their senses and makes them feel useful. As dementia progresses, patients are likely to experience sensory changes such as problems with sight, smell, and taste. Owing to these changes, patients are often reported to become apathetic towards food. Cooking together will allow them to experience everything exclusively and thus they can enjoy mealtimes once again. A day out enables an individual to step out of their homes and experience something different from the norm. A great place to spend the day outside is the zoo. Be it, adults or children, the zoo is fun for everyone. According to research, pets are incredibly beneficial for one's health. They have been reported to lower one's blood pressure while simultaneously boosting their serotonin levels. Serotonin is always referred to as the feel-good hormone and helps one feel happy and more content. Communicating with animals and being around them make people calmer and more comfortable. A day out in the zoo or a farm is thus an excellent way for dementia patients to step out and interact with their furry friends. Allow them to feed the animals, pet them and spend time with them. This helps patients feel a little relaxed as having problems communicating with others is a prominent outcome of dementia. When interacting with animals, the additional stress of properly communicating with another human is gone. As a result, patients feel at ease. Dementia patients are often reported to feel isolated and disconnected from their surroundings. They lose touch with reality and nature. To get them out of this, it is essential for them to step into nature every once in a while and experience the great outdoors. Interacting with nature allows one to stimulate their sensory experiences. The fresh air, the warm sun, the sound of birds chirping; all these stimuli help patients feel good. Go out with them for a walk and talk to them. Outdoor nature-based activities are particularly great because they engage the mind in meaningful activities. This helps patients feel calmer, more interactive and keeps them distracted. Music is food for the soul. It helps stimulate the patient’s senses and allows them to connect with their emotions as well as external stimuli. When one listens to music, they feel like expressing themselves. Responses to music include humming, grooving, and dancing. This form of therapy helps the elderly fighting dementia feel relaxed. 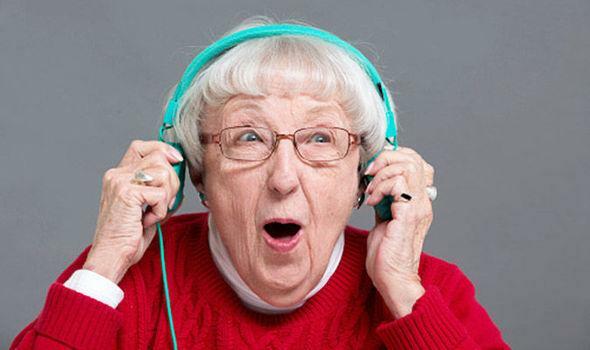 Listening to music and singing along helps them to cope with their situation and also revisit their old memories. If it is an old song that they loved, they will remember the lyrics and sing along involuntarily. Such a response is an excellent form of brain exercise and greatly helps in boosting mental performance. Living with dementia is extremely challenging and so is taking care of someone suffering from it. This illness gradually gets worse and impairs a person from carrying out daily activities with ease. Witnessing and experiencing this progress is painful. One can choose to sulk and let the illness take over them, or they can choose to live with it in the best possible way. You need to make extra efforts to deal with elderly patients with dementia. This will make their challenging journey less cumbersome and a little more enjoyable. 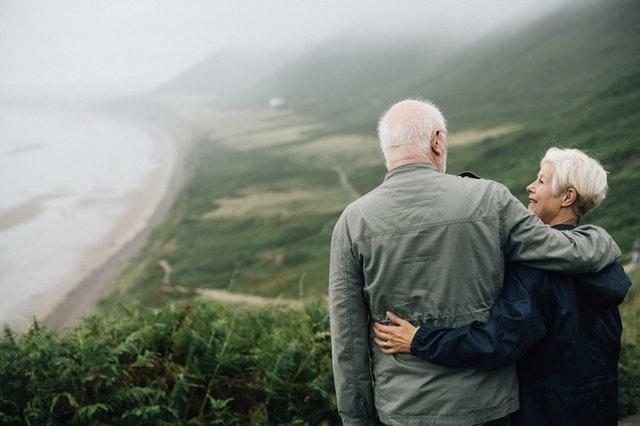 If a loved one is experiencing memory lapses or showing signs of cognitive impairment, seek professional help as soon as possible. Take an online dementia test for starters. Dementia can go by unnoticed until it reaches its later stages. So, don’t ignore the signs!